No one chooses to be hurt in an automobile accident. However, the decisions you make in the aftermath of a crash can significantly affect your recovery – financially, physically, and emotionally. Selecting the right lawyer to handle your case is one of the most critical choices you need to make, but it doesn’t have to be a difficult one. At Warren & Kallianos, our Charlotte car accident attorneys have been doing just that for countless clients over many decades – and we have a long list of case results that testify to the effectiveness of our efforts. $4,500,000 for a client whose wife and unborn child died when their vehicle was hit head on by a dump truck that negligently crossed the centerline of the roadway. $2,500,000 for a client who suffered a severe head injury, along with other injuries, when he was struck by a drunk driver while trying to use a crosswalk. $2,200,000 for clients injured in a collision with a dump truck that turned in front of our clients’ vehicle. $1,600,000 for a client who sustained a severe hip injury in a head-on collision with a tractor-trailer. At Warren & Kallianos, we have the knowledge and resources necessary to take on the most serious car accident injury claims – and win. We offer a free consultation to discuss your case, and you will not pay attorney fees until we win compensation for you. According to the National Highway Traffic Safety Administration (NHTSA), drunk driving causes one in every three car accidents in North Carolina every year. There is no excuse for drunk driving, and its impact can be devastating to those who are struck by an impaired driver. You may bring a car insurance claim for compensation against a drunk driver in North Carolina regardless of whether that driver is also facing criminal charges for drunk driving. Texting, making phone calls, playing with the radio, eating and drinking, chatting with passengers. The list of potential distractions behind the wheel is potentially endless, and all of them are potentially deadly. A distracted driver is far less likely to see another car, a pedestrian, a bicyclist, or a roadway signal like a stop sign until it is too late to prevent a car crash. All drivers have a responsibility to pay attention to their surroundings. “Speeding” comes in two forms. The first is driving faster than the posted speed limit, and the second is driving too fast for conditions, like bad weather, broken pavement, traffic congestion, or darkness. A driver who does either runs the risk of causing a serious accident that causes a traumatic brain injury, a spinal cord injury, crush injuries, or other serious injuries. Cars are complex machines. A defect in any part of the vehicle or its overall design can cause an accident or make injuries worse than they otherwise would have been. Worst of all, the driver may not know the defect is present until it is too late to prevent harm – and the defect can cause a crash even if the driver is being careful. When a defect causes harm, the manufacturer or designer of the defective part may be held accountable. These claims are known as “product liability” claims. Broken pavement, curves that are too sharp, missing or broken guardrails, or busy intersections without sufficient lights and signals to control traffic are just a few of the problems with roadway design and maintenance that can cause a serious accident. When the roadway’s design or maintenance is negligent, you may be able to seek compensation from the agencies responsible for it. If you or someone you care about is in a car accident, there are several steps you can take to protect yourself and your legal claim. First, get medical attention immediately for your injuries. Keep in mind that some types of injuries may not be apparent right after the accident, and adrenaline can mask the pain and symptoms of serious injuries. Next, contact the police so they can prepare an accident report. The report the police create on the scene of the accident may be a valuable source of information about why and how the accident occurred, though it is important to remember that the police do not have final say on fault in a car accident claim. Also, collect the contact information of the driver, if you can. Information like the person’s driver’s license number, insurance information, and contact information can help you ensure you or your lawyer can file a claim with the appropriate insurance company. Then, collect the contact information of any witnesses to the accident. Their testimony can help you firmly establish your right to compensation. If you are able, take photos of the accident scene, the damaged vehicles, and your injuries using your cellphone or other camera. Most importantly, contact our qualified Charlotte auto accident attorneys. With close to 60 years of combined legal experience, the North Carolina auto accident lawyers Jeff Warren and Chris Kallianos have fought for car accident victims and their families throughout North Carolina. If your accident occurred in South Carolina, we can work with attorneys there to help you fight for the compensation you deserve. North Carolina follows the law of contributory negligence, which means that if your own negligence contributed to the accident, you may not recover any compensation from other negligent parties. Because of this law, it is imperative that you contact a knowledgeable attorney before giving any statement to any insurance company. Remember: The insurance company for the at-fault party is not your friend and will likely take whatever steps are possible to minimize or deny your legal claim. Often, the insurance company will pressure you to settle before you have had an opportunity to consult with an attorney. Don’t be fooled by the insurance company, and do not speak to them without your attorney present. Every accident has unique factors, and your compensation will depend on several issues, such as the facts of the case, a variety of legal matters, and the amount of insurance or other assets available to pay an award or settlement. Payment of all related medical bills, including those for future treatments. Lost wages and diminished earning capacity. Compensation for your pain, suffering, and emotional distress due to the accident. The cost to repair or replace your damaged vehicle, including payment for a rental car while your car is in the shop or you are awaiting a check if it’s totaled. Punitive damages in cases of exceptional misconduct on the part of the at-fault party. If a collision has resulted in the death of a close relative, you may be able to bring a wrongful death claim to recover compensation for funeral expenses, medical bills, lost income, pain and suffering, loss of companionship, and other losses. When you work with our firm, you work directly with car accident attorneys Chris Kallianos and Jeff Warren. We make it a top priority to communicate regularly with our auto accident clients and their families. You can rely on Jeff and Chris to do what it takes to get results for you on your car accident claim or truck accident claim. 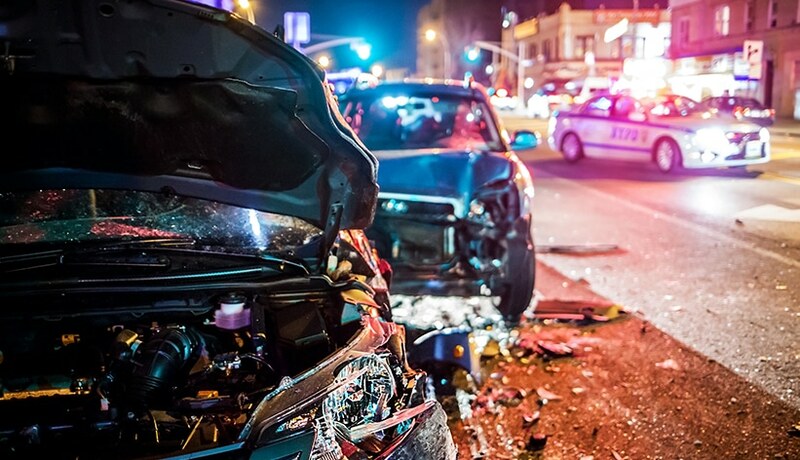 A number of studies show that car wreck victims can recover more money with the help of an attorney than those who try to handle their own claims. Conduct a thorough and independent investigation of the accident to determine its true cause and identify all responsible parties, including third parties such as the manufacturer of a defective auto part, the employer of an at-fault driver, or the agency responsible for a dangerous road condition, for example. Uncover all potential sources of insurance coverage, including benefits under your own policy such as MedPay and uninsured/underinsured motorist (UM/UIM) coverage. Work with a variety of experts such as accident re-constructionists, medical experts, life-care planners, economists, and others to establish the cause of your car crash, the severity of your injuries, the extent of your financial losses, and other critical matters. Handle all communications with insurance adjusters and defense attorneys, including aggressive settlement negotiations on your behalf. Thoroughly prepare your claim for court, if necessary, and ensure that all deadlines are met. If the insurance company simply refuses to make a reasonable offer, we will be ready to present a persuasive case at trial. Resolve any outstanding liens on your monetary compensation to maximize the amount you take home. Are you concerned about paying for a lawyer to handle your case? Let us put those fears to rest. At Warren & Kallianos, we charge nothing upfront. In fact, we don’t collect any legal fees unless and until we are successful in recovering compensation on your behalf. Even then, the fees are paid out of your recovery, meaning you are never presented with a legal bill. Our goal is the same as yours: to secure maximum compensation on your behalf, whether at the negotiating table or in the courtroom. How do we achieve it? The keys are preparation, aggressive client advocacy, assertive negotiations, and skilled legal representation. For a free and confidential consultation, call 704-275-5593 or contact our office today. If you choose Warren & Kallianos, you’ll work with one of our lawyers, and we will not rest until your case is resolved. Where Are Charlotte’s Most Dangerous Intersections? Also see our personal injury page where you can see all our injury practice areas.